You have a screamin' fast CPU, the latest GPU, and gobs of RAM. What you need now is a fancy case. You've spent two grand on your PC hardware. The latest Skylake CPU. Tons of DDR4 RAM. A blazing fast graphics card (or two). And of course, a zippy SSD. And you have it all shoved in a plain black box? That won't do. 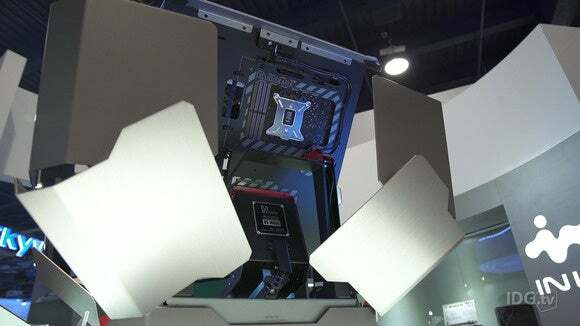 InWin is known for its metal-and-glass enclosures for enthusiasts, and it was showing off its latest kit at CES. Check out the video for a closer look at the 805 with its infinity LEDs in front, or the giant 509 with room for an extended ATX motherboard. The new H-Frame 2.0 is bigger and includes a new 1065-watt PSU with a window on the side.